Ms. El-Tobgy has over 25 years of International experience in Wellness Consulting physical, emotional and spiritual). She holds a Master of Arts degree in Communications from Washington State University, U.S.A. specializing in Life Skills counseling. She is a Certified Soul Realignment™ Practitioner, Certified Assertiveness Coach; Certified Realm Reader practitioner; Certified Breuss Massage practitioner. Services offered include: Soul Realignment reading and clearing; Assertiveness Coaching; Psycho-spiritual assessment; Bio-energetic assessment; Breuss-cupping holistic massage; Feng Shui consultations; Realm Reading sessions; Energy balancing sessions and workshops in the areas of: Feng Shui, Reiki, Prosperity Consciousness and Soft Skills. 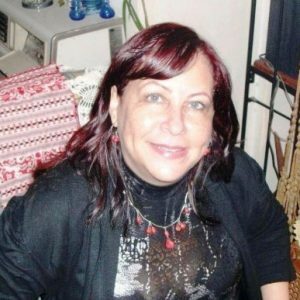 Ms. El-Tobgy is an Egyptian/Canadian who has lived, studied and worked in North America, Thailand, China and Egypt for over 30 years. “The Communication Network” workshop series – (which she has developed and ran successfully for over four years, gained media attention in Toronto, Canada) - was featured in numerous TV programs, Radio shows and newspaper articles. The series empowered individuals to gain control over their wellness through learning and applying different successful techniques adapted from the best of both Eastern and Western worlds. Her personal mission is to share knowledge and experience and to empower others. All love light and blessings.